Bounce, lines and geometry in the box ! 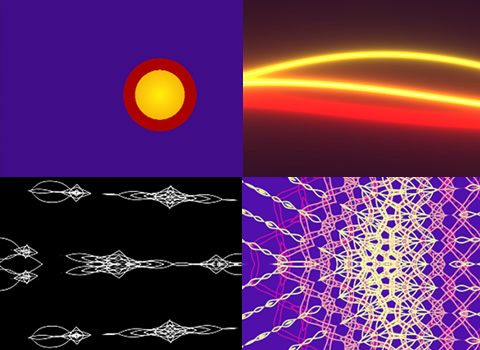 8 GLSL ready-to-use files prepare by Taktik. Just drag them into Bazik and enjoy. Require version 1.02, update before try. Remix and share them with the community ! 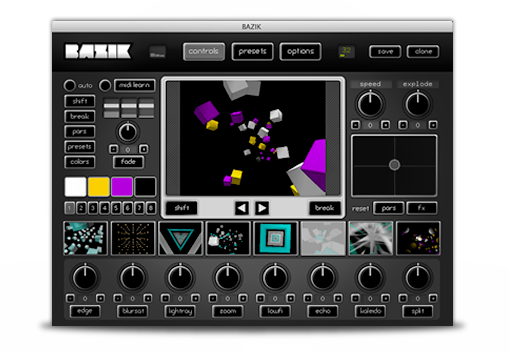 First at all, I want to thank all the people who have already download and purchase Bazik. Many of you made me great feedbacks ! Some one had bugs that we solved together. That’s help me to improve Bazik. A priority bug and some minors have been corrected for this 1.02 version. Bazik is ready for everybody ! 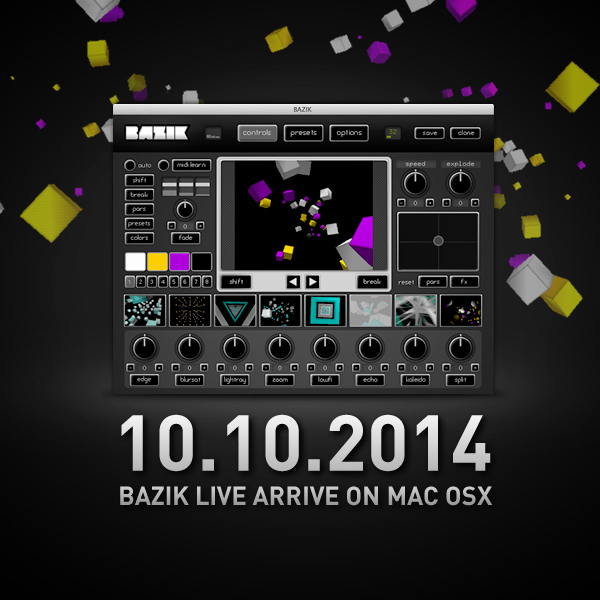 As I announced Bazik is available today ! I spent a lot of time these last months on the development of the final version. The objective was to create a more powerful, less resource intensive software and always easier to use. I hope to have made a quality product who will be your new best friend for your performances. The last week was concentrated on the development of the site and the shop so that everybody can buy easily Bazik. And for those who wish to test first, it is very normal, the demo version is also online. Here is a short trailer for the event ! It’s time to play, hope you have fun with Bazik ! This week, I have spend time in completly refound the 3D light system to be most efficient and very light. Bazik is now running like a charm in a old Macbook (2007 – Core 2 Duo – 2 Go Ram) with HD output. The program is low CPU consumption but very powerful. My priority has always been that Bazik be usable by the largest number of users easily. Therefore the engine must be efficient, even on an old machine. 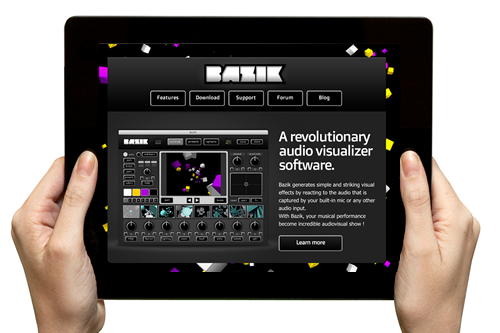 It also allows advanced users to use multiple versions of Bazik simultaneously to create unlimited possibilities. With its new Open GL well optimized engine, you will be able to have fun without exhausting your computer ! This leaves me time to test and fix bugs, and work on tutorials & support. After the launch, I will start working on PC version. En français s’il vous plaît ! A pixel style animation shader file inspired by Eiyeron, based on Illogical from Matrefeytontias, plane deformations on TI-83/84 http://www.omnimaga.org/index.php/ . With 8 different modes, 2 parameters, breaker, colors and sound control. This file is a good way to start with Shader in Bazik. Try, transform, edit and share it ! Play with Shader GLSL ! You can add Shader GLSL files (.frag) in Bazik, create your own and share them with the community.